Don't worry, these Firestone spark plugs may be over 70 years old but they are no longer radioactive; they are perfectly safe to own and handle. The radioactive Polonium 210 used in the electrodes was supposed to improve engine performance and fuel consumption (apparently it didn't...) but in any event it had a short 'half life' of just 138 days, which means that three years after they were made virtually all of the radioactivity had decayed and turned into a non-radioactive isotope of lead. 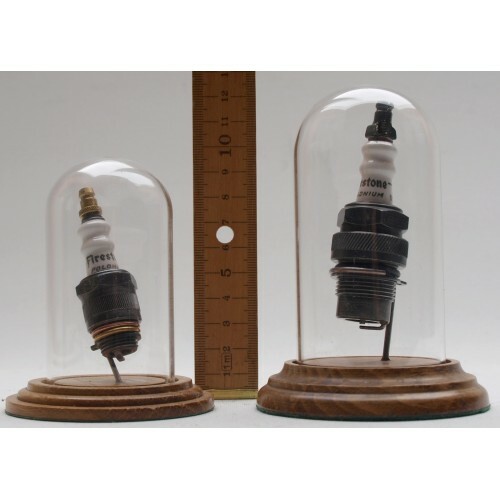 We have managed to acquire a very small number of these spark plugs, which were recently discovered in a bankrupt auto parts store. 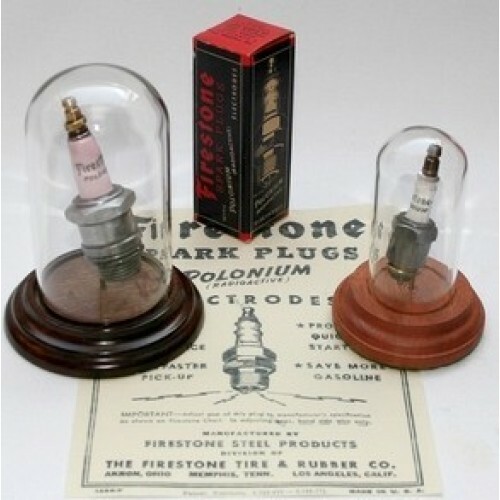 They were manufactured in the USA by Firestone and come from a batch date stamped November 1941. The plugs have never been used and come with their original cardboard box, which will be included.